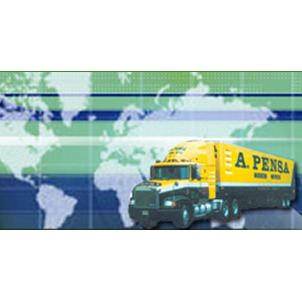 A. Pensa Modern Movers, with executive offices and warehouses in Union City, New Jersey, and a sales office in Fort Lee, New Jersey, are proud to celebrate their 93rd anniversary in business. «The American dream can come true with hard work and persistence,» state current owners Jack and Rena Pensa. amazing 3 guy team, each one strong and skilled and FAST! very courteous and organized. Will hire again! They had a delivery on Grand St in Hoboken today.They kept the truck engine running for 7 hours straight while they completed their move - polluting the air on the whole block and causing all the apts. in the building with windows open to stink.What's wrong with these people? Guys moved quickly and got the move done in under the estimated time but my hardwood floors were completely scratched up in the new apt and many pictures were damaged and a mirror was completely broken. I sent the company am email with pictures and they didn't even reply with comments or an apology. I am disappointed to say the least. My girlfriend and I made 2 moves into the same apartment in Hoboken from both in and out of Hoboken. 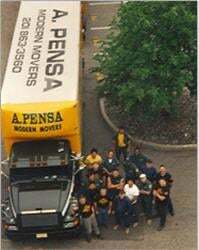 She had used Pensa Modern Movers in the past and had a good experience. I did the estimates with Lou Pensa and I supervised both moving days. And I cannot say enough about how professional and thorough and thoughtful all of the guys were. Between Amy the office manager, to Butch the foreman, to Wayne and Bo and all the movers, everyone was awesome. I will call Pensa the next time we move. No questions asked. Thanks Lou! Good guys, and moved things quickly and without breakage.But I got charged extra because their insane manager was back at the office screaming at them (I could literally hear him through the phone) to charge me starting at 830 AM (when they arrived at the building) as opposed to 9 AM (when they started the move and when my building allowed them in). Not a huge difference but cost me $100.I probably would not use them again unless in a pinch.